Should I Invest in Uber After the IPO? Subject: Should I Invest in Uber After the IPO? A strengthening economy could encourage more companies to go public in 2017, which is why investors are asking us, "Should I invest in Uber after the IPO?" It's true that there's not a set date for the Uber IPO. But with a valuation of $66 billion, Uber is already one of the most hyped IPOs on Wall Street. That means some investors will be tempted to buy Uber stock just because of the hype. Today, we are going to share everything you need to know about Uber. Also, we'll discuss the best way to play Uber stock on the Uber IPO date if you think it fits your investment strategy. Founded in 2009, Uber is a platform that coordinates ride-sharing services in most of the world's major cities. When someone needs a ride, they use the Uber app on their smartphone and request a ride. Drivers operating as independent contractors for Uber get these requests and pick up the person who needs a ride within minutes. Uber has completed more than 2 billion rides as of July 2016. Uber has stiff competition in the United States from a company called Lyft. Known for its signature pink mustache logo, Lyft was founded in 2012 and uses a smartphone app that's similar to Uber's app. And Lyft's list of impressive backers means it has the resources to compete with Uber for a long time. In 2014, Alibaba Group Holding Ltd. (NYSE: BABA) invested an undisclosed amount in the company. In 2015, Saudi Prince al-Waleed invested over a $100 million in the ride-sharing company. And in the beginning of 2016, General Motors Co. (NYSE: GM) announced a $500 million investment in Lyft. Outside of the United States, Uber had even stiffer competition in China. In August, Uber announced it was selling its China operations and brand to competitor Didi Chuxing in exchange for a $1 billion investment in Uber's global operations. This shows ride-sharing is a globally competitive business, which could affect Uber's value in the future and have an impact on its stock performance. According to CNBC, Uber has a current valuation of $66 billion. And the biggest reason for this massive valuation is its jump in revenue in just the past few years. In 2014, the company reported $495.3 million in revenue. In Q2 2016 alone, Uber's revenue was $1.1 billion. And one of the reasons Uber is earning more money is an increase in demand from business travelers. The percentage of business travelers that reported using the app went from 9% in 2014 to 29% in 2015. Aside from attracting new business, Uber should become more profitable since cutting its business in China. Uber lost $4 billion since it was founded in 2009, according to Bloomberg. When Is the Uber IPO? There's no set date for an Uber IPO. CEO Travis Kalanick told CNBC earlier this year that he wants to ensure that an IPO "happens as late as possible." In the first eight months of 2016, there was only one tech company that went public. Companies may also delay going public in the first half of 2017 until President-elect Donald Trump is sworn in and his policies are more well known. Should I Invest in Uber? Money Morning Chief Investment Strategist Keith Fitz-Gerald has stern warnings about IPOs, and particularly debuts of tech companies. Fitz-Gerald warns that many of these companies have inflated values and are passing off a significant amount of risk to individual investors while lining the pockets of company founders. The fervor that is built up around IPOs makes them "must haves" for many investors. But Fitz-Gerald advises that it's better to wait on the sidelines than jump into the frenzy. Uber stock might be a valuable long-term investment. But that doesn't mean you should buy Uber stock during its IPO. Facebook Inc. (Nasdaq: FB), for example, lost half its value in just six months after its 2012 IPO. Facebook is a good investment now, but investors who bought in at inflated prices and panicked by selling stock lost a lot of money. Sitting out the FB IPO would have been a smart move, and it will be a smart move for long-term investors to sit out the IPO. Uber still needs to prove it deserves your investment. The Bottom Line: If you're asking should I invest in Uber, it depends on your risk tolerance and investing goals. Uber will be one of the most-hyped IPOs on Wall Street, but that doesn't make it a good investment. 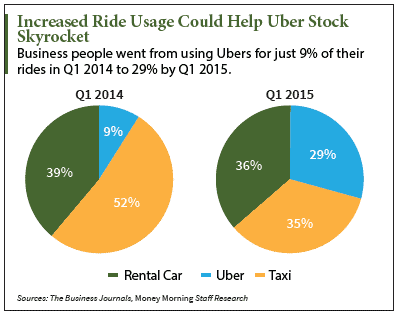 Tech IPOs can be risky, and investing in Uber should be viewed as a speculative investment.